Tuesday, May 23, 2006. 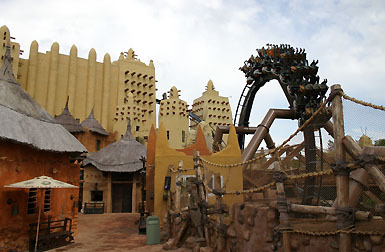 Phantasialand had invited for the pre-opening of Black Mamba and the new area Deep in Africa. 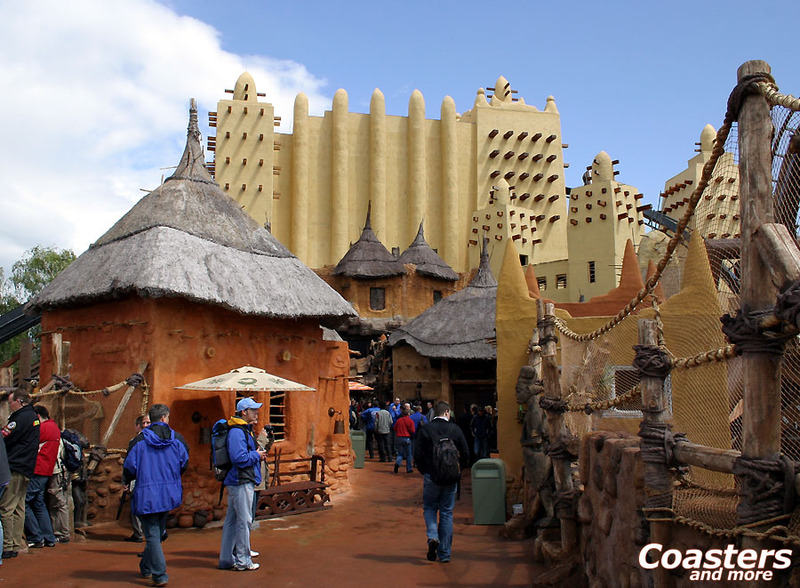 The attending guests impatiently waited for the starting signal that was to clear the way to Africa. Shortly before 2pm the gates finally opened. 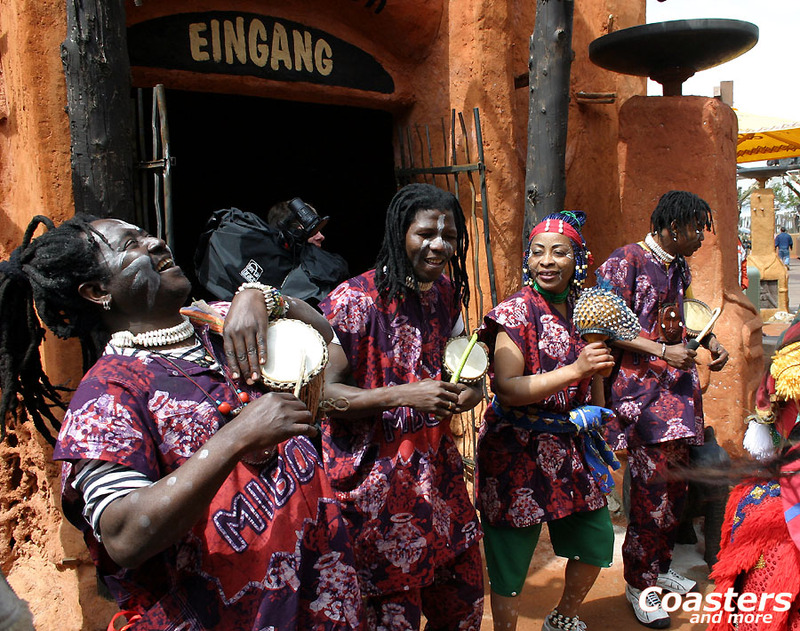 On the market square the Swedisch band Se-Side performed some of their songs, among them the new Black mamba theme song Drums of Africa. 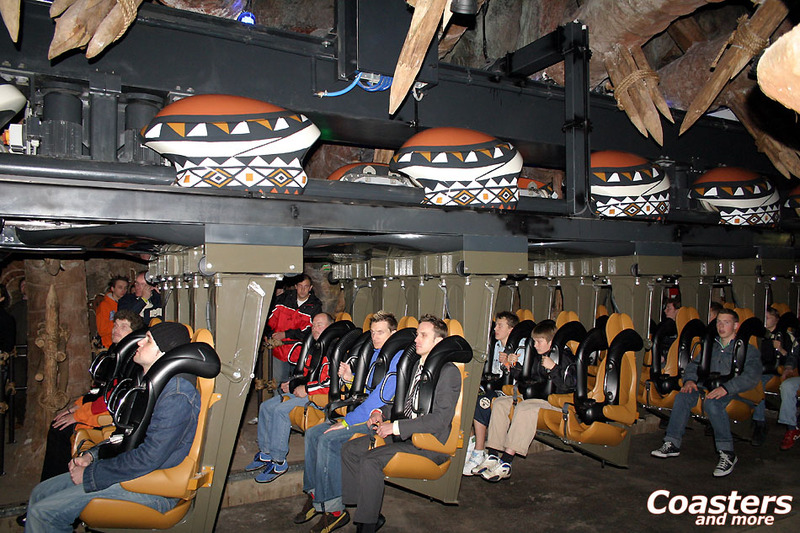 Then the moment came everbody had anticipated: The entrance to Black mamba was opened, the first group passed the diversified and elaborately themed queueing area and the riders took their allocated seats. 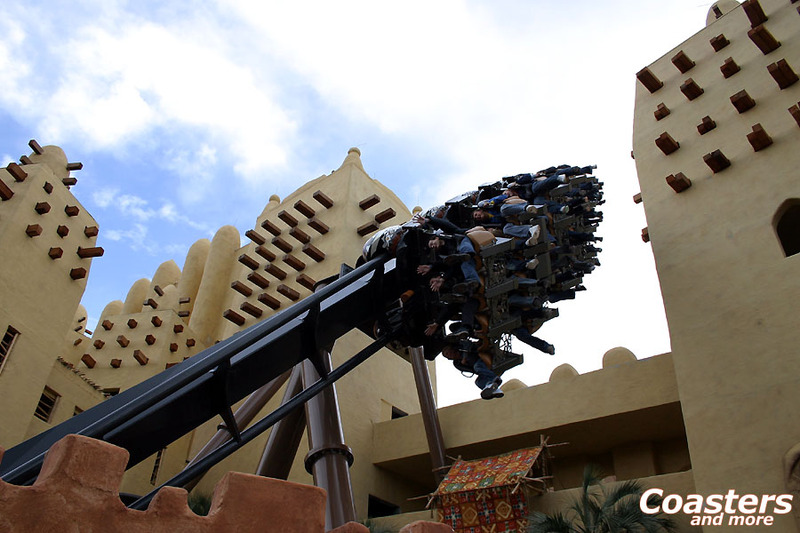 At 2 o´clock, 29 minutes and 14 seconds the time had come: The light in the station is dimmed down, African sounds are heard, and the kicker wheels slowly push Black Mamba´s first train out of the station and onto the lift. On board are the 32 winners of an auction in collaboration with the RTL (a German TV station) charity marathon. 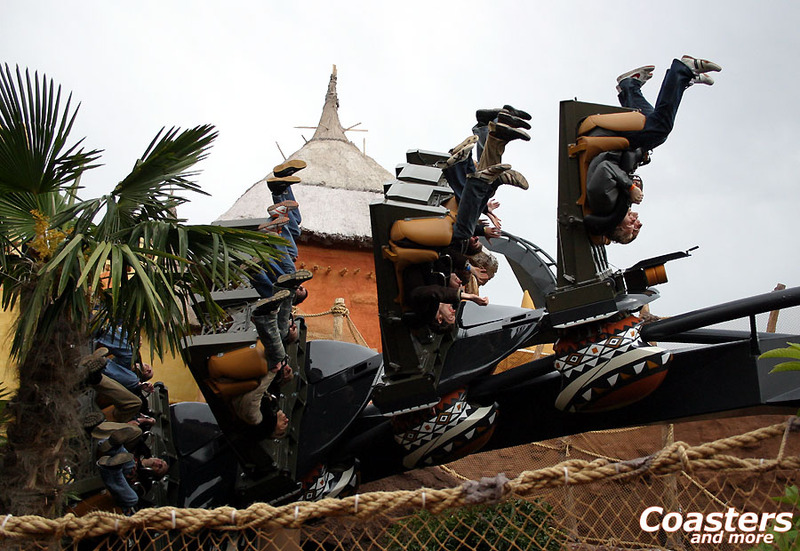 The minimum bid for this ride was 100 Euros, for the front row even 150. But this doesn´t discourage true fans. They have anticipated the opening of the first B&M inverter in Germany for many months, and now they could fulfill a personal dream: To be among the very first public riders. The train disappears surprisingly fast in a giant building, just to be released onto the course at the other end. 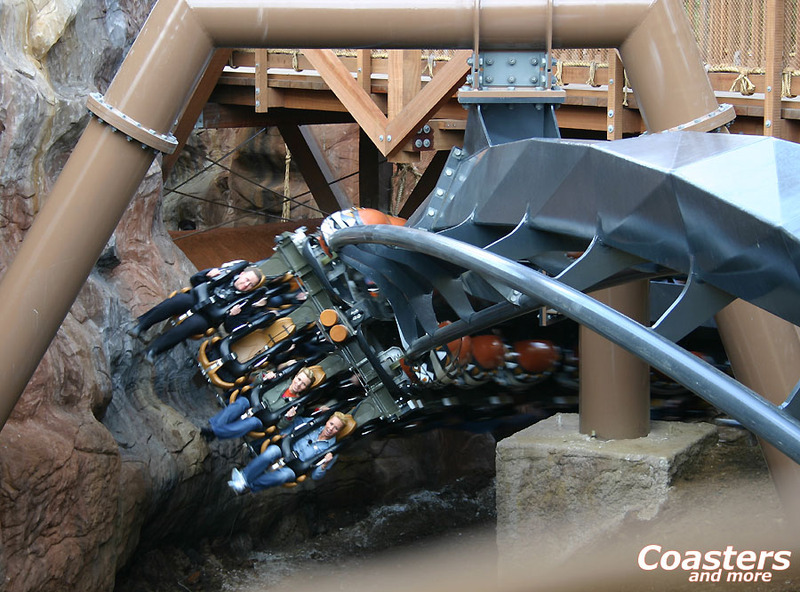 The snake winds through five inversions and several curves, always close to rocks and through narrow gorges. 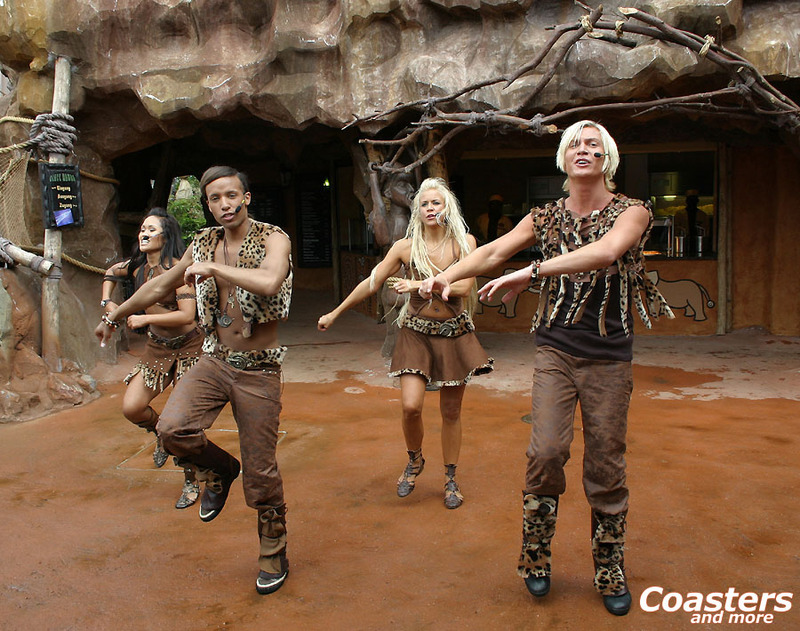 Just like its animal archetype, Black Mamba moves almost silently, only the screams of the "victims" can be heard. 1 minute and 45 seconds later the train is back in the elaborately themed station. Some still have to accept what they have just experienced, and most riders applaude. Nobody will ever forget this trip. Just like the two hours exclusive ride time on Black Mamba between 3:30pm and 5:30pm, which was reserved for the first riders, some other auction winners and representatives of several fan clubs and magazines. 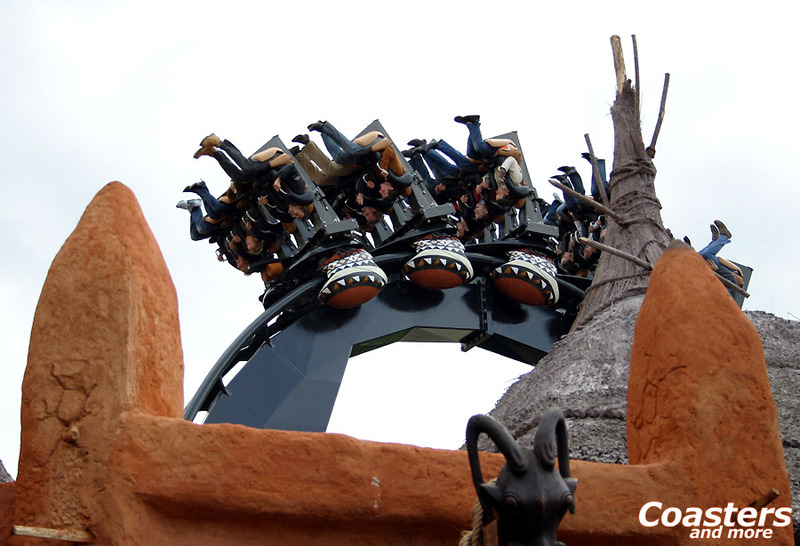 The ride on Black Mamba can be divided into two parts: The first half contains the five inversions, the second one an amazing combination of curves with positive forces and small hills with some light airtime. 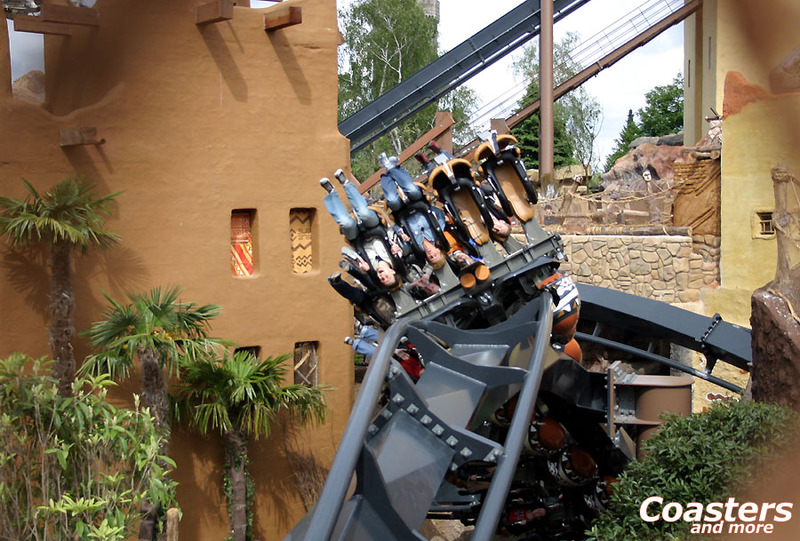 The ride experience is different in every seat, so even repeated goes won´t become bland. The setting of the coaster and the area is already convincing, even though some unfinished spots can be made out. Once these are eliminated, riders and spectators alike will have a truly phantastic and perfect experience.